Technology news bits. Artificial Intelligence. SES, CES. CES Parties for CES 2011 in January. Europe’s Human Brain Project – can a billion Euros buy a brain? In January Henry Markram got a late Christmas present. After intense international competition, Markram’s quest for a brain simulation received one of the largest grants in the history of science – 500 million euros from Europe’s new Technology “Flagship” program. The European Human Brain project is a large expansion of Markram’s “Blue Brain” efforts which have made amazing progress over the past several years. With this level of funding the HBP appears to have left the USA’s DARPA SyNAPSE as something of a funding pauper. However as politicians begin to recognize the significance of thinking computers DARPA is likely to get much higher funding. We propose that the HBP should be organised in three phases, lasting a total of ten years. ready for use by researchers inside and outside the project. Over at another site we’re involved with, Retire USA, you’ll find a lot about the effect of technologies on your retirement and your retirement planning. Gary Kaye is an award-winning journalist who writes for our TECHNOLOGY AND YOU column where he talks about how technology continues to shape and reshape the retirement landscape. 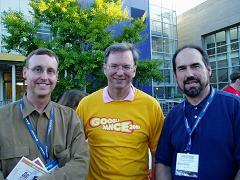 Gary has been covering technology since 1981 when he reported for NBC radio. Gary was the technology producer for “ABC World News Tonight” and has been a featured reporter at CNN, American Morning, New Economy Watch, and Digital Jam. Technology Report will be live again this year from 2013 International CES where the “Silvers Summit” will feature technology and innovation in the retirement and health sectors. WITH AMERICA’S TOP RETIREMENT BLOGGERS!AGING SUCCESSFULLY – Dr. John M. Kalb – John is a chiropractic physician, men’s movement elder, educator, scientist, and health coach. In his own blogs and in his book, Winning at Aging, Dr. Kalb passionately maps out a complete game plan for health and happiness in the second half of life. CARE OPTIONS – Mei Wong and Brittany Weiler – Mei, a Certified Geriatric Wellness Instructor with Memory Enhancement, is CEO of Care Option Resources (COR), which helps veterans and widows with acquiring their benefits. Like Mei, Brittany also a certified Geriatric Wellness Instructor with Memory Enhancement and has experience in the senior industry and in insurance & retirement planning. FITNESS – Andy Baxter – Andy has been a senior personal trainer, post rehab conditioning specialist and medical exercise specialist for 24 years. Andy operates Baxter Fitness Solutions for Fifty and Beyond and Beyond 50 Fitness, LLC which produces fitness DVDs. Andy’s proprietary Ageless Fitness Systems is currently being used in British Columbia, Oregon, California and Kentucky. FOREIGN TRAVEL – Tom Smith – A world traveler himself, Tom is a member and affiliate of The Travel Society – A Virtuoso Member. Specializing in foreign independent travel, Tom has been a travel agent for 36 years. IRA ADVICE – Ed Slott – Named “The Best Source for IRA Advice” by The Wall Street Journal, Ed is a nationally recognized IRA-distribution expert and the creator of several public television specials viewed by millions of Americans. He hosts two popular websites and has written several best-selling books. MEDICAL – Robin Miller, M.D., M.H.S. – Board certified in Internal Medicine, Medical Director of Triune Integrative Medicine, newspaper columnist and NBC medical reporter (Medford, Oregon), author, Dr. Miller is one of the most respected and best-known physicians in the Pacific Northwest. MEDICARE – Julia Ruscitti – A native Oregonian, Julia has been involved in insurance sales and consulting for the past nine years. She is very knowledgeable in all aspects of Medicare supplements including Med Advantage plans, Medigap, and stand alone RX plans. PETS AND SENIORS– Christine Mallar – Christine is co-owner of Portland, Oregon’s Green Dog Pet Supply, the first pet supply store in the nation to specialize in environmentally friendly pet supplies. She has over 20 years of animal training experience, both with exotic animals and as a dog trainer teaching group classes. REAL ESTATE– Ellee Celler – Ellee, a broker with RE/MAX Ideal Brokers, Inc., has practiced real estate on the east coast and in Oregon for over 30 years. After operating her own brokerage in Jacksonville, Oregon for a decade, Ellee joined ReMax for its extensive support services, networking and training. RETIREMENT LIFESTYLE– Debbie Drinkard Grovum – Debbie is a Board Certified Coach trained in life, career and retirement coaching and owner of Ageinista, which provides services and resources that promote a vibrant and productive second half of life. She has been trained by and is affiliated with the Purpose Project, a joint project of the University of Minnesota, Center for Spirituality and Healing and Richard Leider of the Inventure Group. RETIREMENT COMMUNITIES– Madeline Hill & Friends – A national expert on senior living, Madeline was one the pioneers in the concept of “aging-in-place.” Incorporating concepts she developed during a distinguished career in social and senior services, Madeline played a key role in creating Mountain Meadows, an award-winning 55+ community in Ashland, Oregon. SENIOR HOUSING OPTIONS – Cherie Henry – A member of the “golden girls” team at Golden Placement Services, Cherie is a senior housing and transition specialist. She has extensive experience as a licensed administrator in assisted living communities. TECHNOLOGY AND YOU – Gary Kaye – An award-winning journalist who has been covering hi-tech since 1981, Gary started reporting at NBC radio. He later became the technology producer for “ABC News Business World”, and “ABC World News Tonight with Peter Jennings”. At CNN and CNN/fn he covered technology for programs including: CNN/Fortune, CNN Newsstand, American Morning, New Economy Watch, and Digital Jam. THINKING RETIREMENT– Andy Landis – Andy is a Certified Life Options Retirement Coach and an internationally-known author, speaker, and consultant specializing in retirement planning, with technical expertise in Social Security and Medicare. Andy has designed and led dynamic retirement seminars for over 20 years, guiding tens of thousands toward successful retirement. TRAVEL AND PHOTOGRAPHY – Bill Ferry – Bill has been able to showcase a series of passions into a popular website and periodic travel blog. In the last decade he & his wife have crisscrossed the US & Canada by bike, car, train, RV and by foot. VOLUNTEERING – Sally Melton – For nearly a decade Sally taught English, and regularly utilized volunteers in her classroom. Soon after moving to Southern Oregon, she led the formation of a local nonprofit volunteer group. For the past twenty years she has worked for Asante Health System, coordinating their Senior Services program. With so much news out there, it is important that your app learns to discern what news would typically be of interest to you. Your news app should be able to pick out news from geographical regions, subject areas such as art, entertainment and politics as well as what type of news. This last option is a little tricky. You might be more interested in features rather than straight-up news reports. You might want news round up like a stockmarket report or general news bulletin. A good news app should be able to scan the news out there and pick out the news based on your preferences. The layout is also crucial. Some news apps can organise your news efficiently according to your preferred categories. In some instances they can even prioritise what news reaches you, so that if time is short the important news reaches you first. It can also adapt the way the news is presented to you, so that for example you can have a list of news snippets presented to you. RSS feeds are a particularly popular way of garnering news that interests you in an accessible way that allows you to find out what’s going at just a glance. In this age of celebrity, news presenters can attract a cult following so if you just cannot bear the thought of missing any interrogation from The Paxman then you should get a news app that can identify and select news from certain sources. My father, for example, has a completely irrational love of FOX news. Now if I were of a mind, I could install an app that looks specifically for reports from FOX News; unfortunately for him, he can’t install the app – he’s not savvy enough to know how…he watches FOX news after all. Of course, I won’t bother. My mother told me not to encourage other people’s bad habits. Naturally, nigh on every national news agency has their own app, if you have your colours pinned to one particular mast. How about this for fancy? Buzz Voice can scan the news for your favourite news items and then read them out to you. In essence, you would be creating your own personal news radio show. You can happily make yourself breakfast in the morning while your phone tells you what’s going on in the sectors and countries you are interested in. I’m a particular fan of using this app when my mother-in-law comes to visit, as I can pretend I’m on the phone to someone. Amazing how hearing what’s going on in Africa helps you blur out someone’s very existence from your consciousness. Some particular news item excites or depresses you so much you just have to tell your friends? Well, many news apps have jumped on the online social bandwagon and allow you to share your news collections in an easy manner. Pulse News is a particularly useful way of organising and sharing your news on Facebook, Twitter or via email. Reese Jones is a tech and gadget lover, a die-hard fan of iOS and console games. She started her writing venture recently and writes about everything from quick tech tips, to mobile-specific news from the likes of O2, to tech-related DIY. Find more about her and her work at Reese+ and tweet her @r_am_jones. Star Trek Google Doodle – the best Google Doodle ever? Today’s interactive Star Trek Story as the Google Doodle is arguably the best Google Doodle ever. www.google.com Star Trek Fans will appreciate that they are showcasing one of the great episodes, where, on a far away planet, Kirk is battling hand to hand with an Alligator Alien, using only his human cleverness and ingenuity to win. And speaking of cleverness Google Doodles are always fun, but this one – with several interactive screeens – has got to be one of the best of all time. Two extraordinary technology items this week are the identification of a new “goldilocks planet” named Kepler-22b. Kepler-22b may have attributes so similar to earth it could harbor life that is “like us”. This isn’t the first such planet, and researchers in this field are increasingly optimistic about finding many, many planets that could harbor life something like what evolved here on earth. Generally they are looking for stable temperatures that allow for the presence of liquid water, thought to be a good “breeding ground” for the building blocks of evolution – increasingly complex molecular structures that change through random mutations over long periods of time into simple and then into complex organisms… like us. SETI, the “Search for Extraterrestrial Intelligence”, has been around for some time but thanks to new funding and tech and discovery advances it will have a better chance of success. Many believe that other life is more than 99.99% likely (we are NOT that special! ), but *finding it* with our primitive technologies is going to be difficult. MOUNTAIN VIEW, CA – The Allen Telescope Array (ATA) is once again searching planetary systems for signals that would be evidence of extraterrestrial intelligence. Among its first targets are some of the exoplanet candidates recently discovered by NASA’s Kepler space telescope. IBM’s Aug 18th Press Release announced another significant milestone for the DARPA SyNAPSE project, the world’s best funded and arguably the “most likely to succeed” approach to creating a general artificial intelligence. …. cognitive computers are expected to learn through experiences, find correlations, create hypotheses, and remember – and learn from – the outcomes, mimicking the brains structural and synaptic plasticity. To do this, IBM is combining principles from nanoscience, neuroscience and supercomputing as part of a multi-year cognitive computing initiative. The company and its university collaborators also announced they have been awarded approximately $21 million in new funding from the Defense Advanced Research Projects Agency (DARPA) for Phase 2 of the Systems of Neuromorphic Adaptive Plastic Scalable Electronics (SyNAPSE) project. As we’ve noted here many times, another remarkable project is the Blue Brain Project in Europe spearheaded by Dr. Henry Markram. That team has joined with many others and is in the process of applying to the European Union for substantial funding – perhaps as much as 1.6 billion dollars. Although Blue Brain tends to shy away from stating that their objective is a general artificial intelligence, I would argue that they should have that goal and also that they are much more likely to be funded by stating that goal in no uncertain terms. Unfortunately there remain many both in and outside of technology circles who believe the search for a general artificial intelligence is either dangerous or a waste of time and money. Both these scenarios are possible but unlikely. Sure, intelligence can be dangerous but given human history compared to technology history it seems odd to argue that we are more likely to create a Frankenstein than a helpful machine process. Computers don’t kill people, people kill people. In terms of a waste of time and money, clearly we humans have overrated our intelligence for some time – probably since the beginning of self-awareness. There are few rational reasons to reject the idea that we cannot duplicate processes that are similar to our own thinking in a machine. The advantages of machine based intelligence are likely to be substantial – probably on the order of a new human age with vastly improved resource efficiency, poverty reduction, and more. Thus the costs – currently measured in the low tens of millions – pale in comparison to almost all other government projects – many with massively dubious and negative ROIs. Computer Consciousness – let the games begin! Over at the Neurdon blog we’re following a great series about Artificial Intelligence “AI” in general and about developments in Darpa SyNAPSE, the best funded project to date that is working on a “general artificial intelligence” – in short a machine that can think pretty much like we do. It’s encouraging to see the debate over computer consciousness take such a serious tone as this topic is arguably one of the most intriguing in all of human history. Many experts believe we’ll see machines become self-aware within 10-20 years. Given the massive computational superiority computers already enjoy over humans, one can make a strong case that a conscious computer – or more likely a computer + human brain hybrid – will clone its intellect and improve that intellect over and over in a very short time, leading to levels of intelligence far beyond that of “normal” humans. Also encouraging that pioneers in the field like the article’s authors: Sean Lorenz, Heather Ames & Massimiliano Versace are willing to discuss this topic rather than shelve it as so many in computer research have done. I think early inflated optimism about artificial intelligence led to so much disappointment in the computer community that the “old guard” programmers are being too stubborn now, especially in the face of very significant advances in the understanding of human neurobiology and in computational speeds and memory capacities. Although Searle has argued for biological embodiment as a necessity for causation of consciousness, this paper puts forth the argument that biological embodiment is not the only embodiment that can produce consciousness. Instead, we argue that the brain is an optimal form of embodiment giving rise to consciousness because it can produce observable reports, oral reports, and observed and measured activity. The first two qualifications of consciousness can be replicated with computer simulations as discussed by the proponents of WBE. However, the third qualification requires a unique stipulation for embodiment that is able to self organize and generate unique global and local patterns of activities within its constituent elements. At this point in time, this is only achievable within brain tissue. 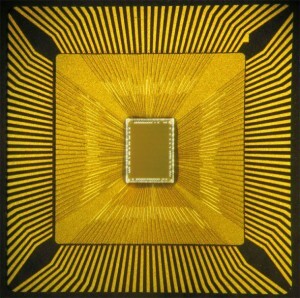 However, with the advancement of neural chip development, we would argue that embodiment necessary for consciousness would be achievable in a new medium, the neuromorphic chip. Google announces big winners in the “Project 10 to the 100th” contest. The Khan Academy is a non-profit educational organization that provides high-quality, free education to anyone, anywhere via an online library of more than 1,600 teaching videos. We are providing $2 million to support the creation of more courses and to enable the Khan Academy to translate their core library into the world’s most widely spoken languages. Project funded: Public.Resource.Org is a non-profit organization focused on enabling online access to public government documents in the United States. We are providing $2 million to Public.Resource.Org to support the Law.Gov initiative, which aims to make all primary legal materials in the United States available to all. Project funded: The African Institute for Mathematical Sciences (AIMS) is a center for math and science education and research in Cape Town, South Africa. AIMS’ primary focus is a one-year bridge program for recent university graduates that helps build skills and knowledge prior to Masters and PhD study. We are providing $2 million to fund the opening of additional AIMS centers to promote graduate level math and science study in Africa. I love the innovative spirit in contests and project like these, and also believe funding from deep pockets like Google is critical because I think in general innovations …. fail…. even in the for profit sector. However in that sector we reward success hugely, so we get a fair number of entrepreneurial “players” who are looking to win the innovation lottery, and these players tend to spin out a few good ideas among mostly bad ones. The current USA system tends to dramatically reward success and ruthlessly kill commercial failure, which is probably a good approach to optimize business success. A common mistake by those who argue that “innovation is golden” is to only look at the few innovative projects that have had huge success (Apple Computer, Google, etc) and ignore the *thousands* of failed innovations, most of which most of us never hear about. One of the big lessons that should have been learned from the internet and real estate bubbles is that innovation does NOT foster success – it simply fosters new ideas. Most internet companies that were spawned during the bubble have failed where a few like Google have become global economic powerhouses. But as usual I digress. THANKS Google for helping to spawn new ideas to do good. That’s cool. Artificial Life created with Synthetic DNA – a major science milestone? A team led by Dr Craig Venter has announced what is potentially a huge genetics engineering breakthrough – using synthetic DNA to drive the reproductive processes of cells. The team created a synthetic copy of real DNA, planted this back into a cell, and initiated a reproduction process based on the copy. The potential of this technology is vast as it will eventually allow genetics engineering of organisms created to address specific needs such as pollution control. Critics are worried that the technology also poses substantial risks since releasing synthetic organisms “into the wild” may lead to unintended and even catastrophic results. KA by Cirque du Soleil is Las Vegas’ most technically advanced stage production. No small order in a city known for many of the world’s most innovative and technically sophisticated shows. Although there are about 80 performers in the show, there are even more people behind the scenes at KA in roles that vary from computer “dead switch” operators who will stop the show in the event of danger or malfunction (both very rare) to the “cork ranglers” who manage the tons of chopped natural cork that form the “sand” on the huge rotating stage. As with all the Cirque shows, KA is remarkable in creating the appearance of death defying leaps, dives, and spectacular aerial performances. KA adds to this fireballs, archery battles, hand combat on a stage rotating in the air, and more. All this happens while an army of invisible support staff maintain an extremely high standard of safety for both performers and the audience. Note: Aria Resort, Vdara Hotel, and Crystals are sponsors of Technology Report’s 2010 CES Coverage. We appreciated that these remarkable properties – which rank among the world’s most technically advanced hotels and retail center – helped us bring you our live CES 2010 coverage. HOLGER FÖRTERER is KA’s Interactive projections designer. Unlike usual light work, KÀ dancers and acrobats do not control what happens to the projection through their own movements. KA’s scenery can actually react to the performers. This creates very realistic illusions – such as falling underwater with a trail of bubbles – that play out in real time as the performers interact with the computerized part of KA’s world. 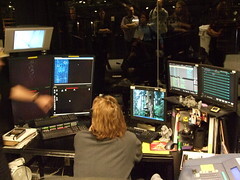 This innovation happens using infrared cameras which help track the performers and feed that data to computers in the control room pictured above. This integrates with a remarkable system that maps the massive rotating stage, effectively turning the KA stage into an massive touch-screen that knows the precise position of each actor, dancer and acrobat. Stay tuned for Technology Report’s live CES 2011 coverage, starting with our “Pre-CES” specials in November. Nexus 5 now available for purchase at Google Play. Delivery appears delayed another 2-3 weeks.